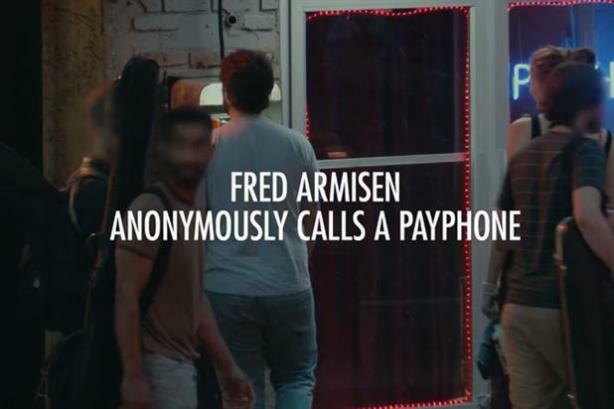 The beer brand has launched a teaser video featuring former Saturday Night Live regular and actor Fred Armisen as a mystery payphone caller. A payphone on the streets of New York rings, and a passer-by tentatively picks it up. "Listen, I'm inviting you to come across the street," says the emotionless voice. "That's terrifying," the pedestrian answers, unknowingly turning down an invitation to appear on-stage with a renowned US comedian, in a stunt for Heineken. The beer brand has launched a teaser video featuring former Saturday Night Live regular and actor Fred Armisen as the caller. The aptly named Ringing Payphone effort resulted in just a few people brave enough to not only stop and answer the phone, but to accept the invitation to "come across the street." The stunt is a "social experiment" conducted by Heineken as part of its Cities of the World campaign. Its goal is to break people out of the conventions of normal behavior. This article first appeared on the website of Campaign. Heineken app answers the perennial question on a night out: @wherenext?